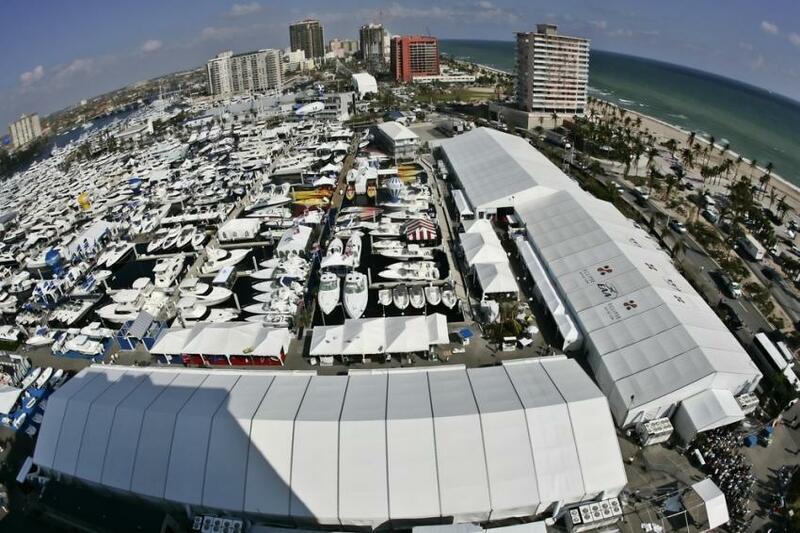 Today marks the start of the Fort Lauderdale International Boat Show 2016. Now in its 57th year, the world’s largest in-water yacht show lasts until 7th November and indicates the start of the Caribbean yachting season. From our new offices in Miami, Luxury & Services Rent offers a selection of stunning supercars to rent for FLIBS 2016, including Ferraris, Porsches, Bentleys and Mercedes. The Fort Lauderdale International Boat Show 2016 is a fantastic opportunity for yachting professionals and seafaring enthusiasts to view a spectacular fleet of yachts for both sale and charter. Additionally, visitors get the chance to view the latest yachting products and accessories and network with likeminded industry professionals. Aside from a vast fleet of yachts to view, there will also be many luxury supercars on display at the show, meaning you can admire your dream car before renting a vehicle and getting behind the wheel. While there will be approximately 1,500 yachts in the show, with an estimated combined cost of over $3 billion, luxury supercars will vie for the attention of the 100,000 guests that are expected to attend. The roads of Florida are characteristically teeming with an ever-growing fleet of luxury supercars; hiring your dream sports car is an apt way to arrive at FLIBS 2016. Cruise along Ocean Drive in a cabriolet, with the wind rushing through your hair and the sun shining down; make a strong first impression with prospective clients; and travel in style between the various locations of the boat show in Fort Lauderdale. Channel Italian style in a Ferrari supercar rental; we offer the inimitable Ferrari 458 Spider, among others. An iconic model from the most widely celebrated supercar brand, the Ferrari 458 Spider complements spectacular styling with a monstrous performance. The V8 engine produces a staggering 570hp, which translates to 100km/h in just 3.4 seconds. Luxury & Services Rent is an industry-leading provider of luxury supercar rentals and chauffeur services, covering Miami and most of Western Europe from offices in Miami, Cannes, Nice, Monaco and Paris. With a dedication to providing exceptional customer service, and with a knowledgeable and experienced team to share their expertise, Luxury & Services Rent offers an alluring chance to get behind the wheel of your fantasy sports car at a fraction of the purchase price. Please contact Luxury & Services to discuss your supercar rental for the Fort Lauderdale International Boat Show 2016.